It’s hard not to notice that Christmas has well and truly arrived in Cambridge, and we couldn’t be happier. Do you adore this time of year too and love seeing shops, restaurants and streets lit up and looking festive? Ever since being little, I’ve always nominated myself the task of decorating the family tree, and this year I’m going to have a fun time getting my home Christmas ready with my kids. 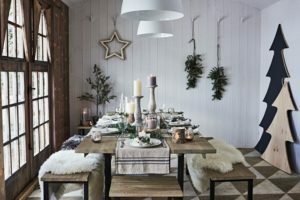 If, like me you enjoy adding something new or different each year to your Christmas decorations, then read on, as we’ve compiled a few of our favourite places local to Cambridge that you don’t want to miss. No table or home would look right without greenery and beautiful, seasonal flowers at Christmas. It’s all too tempting to pick up a bright red Poinsettia, but I love using masses of foliage, Ivy and ornamental branches to create an ideal look. 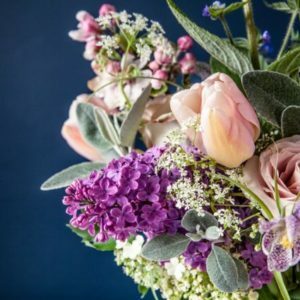 Based in Impington, Wild Rosamund creates some incredible displays using a rich variety of flowers and foliage. 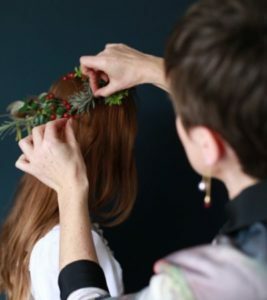 They even hold workshops so that you can enjoy the art of flower arranging yourself. 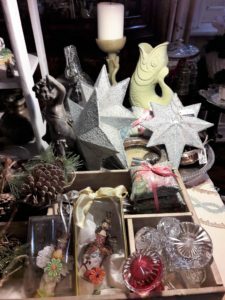 Based in Saffron Walden, OKA is a fantastic place to pick up items for your home. This time of year, they have an entire part of the shop dedicated to all things festive. 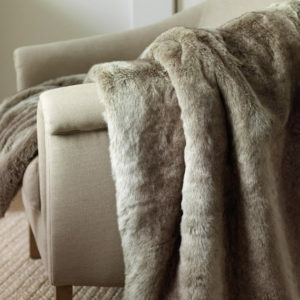 As well as handmade woodland themed decorations and an excellent selection of garlands and candles, OKA also have an array of velvet and silk cushions in jewel colours and faux fur throws, which immediately makes you feel more cosy and festive. Neptune is another one of our all-time favourites. 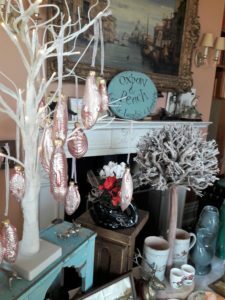 Based in Bury St. Edmunds, like OKA, they have created a zone within their shop dedicated to all things festive. 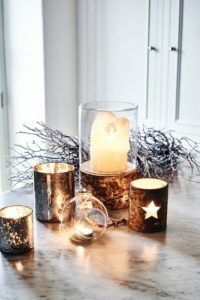 From super stylish artificial trees, tree decorations, candles and lights, Neptune create the ideal Christmas look that you’ll love for your own home. Christmas wouldn’t be Christmas unless a trip to John Lewis was included. The decorations in the Cambridge store are great this year and they’ve really gone the extra mile to offer variety and choice. 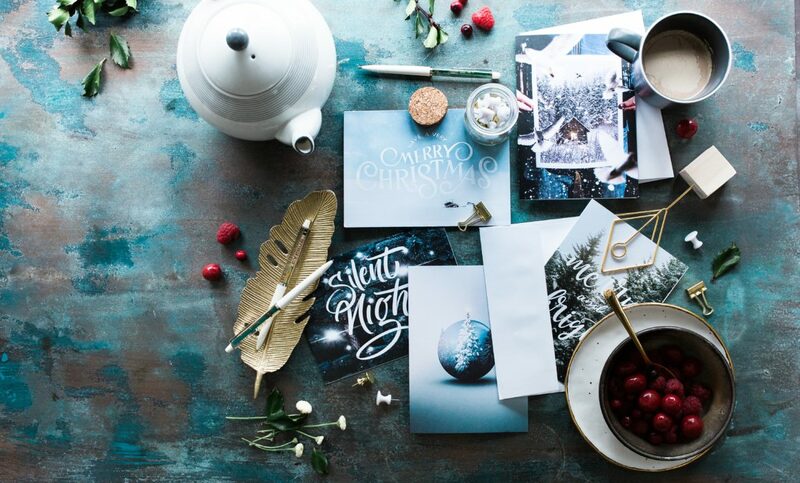 This year there are no less than nine themes to inspire you. Our particular favourite is Lima Lama “A celebration of all that’s bright about Christmas. 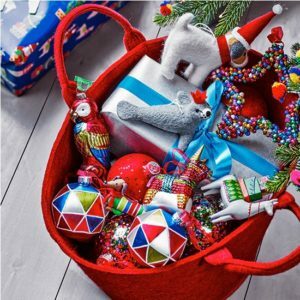 Multicoloured ornaments, pom-pom garlands and llamas aplenty define the collection, where Christmas takes an unexpected turn that’s sure to put smiles on the faces of your seasonal visitors.” And they’re right. 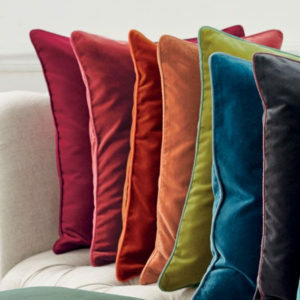 There is an excellent choice, which are bright, happy and would certainly brighten up any home. If bold and bright isn’t your thing, then you must explore their Folklore or Into The Woods themes where I’m sure you’ll find your perfect pieces. 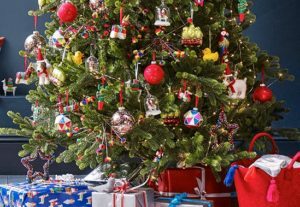 Like Farrow and Ball, John Lewis have uploaded a series of videos on their website and social media pages on how to dress your Christmas Tree and lay a Christmas table.